Each year the state of Colorado sets aside a percentage of lottery proceeds to fund outdoor recreation, stewardship, and rehabilitation of public lands. Under the umbrella of Great Outdoors Colorado (GOCO) the program has committed more than $917 million since its inception with no taxpayer burden. If you live in the Eagle Valley you may have walked the Eagle Valley Trail or visited the Eagle River Preserve – both recipients of GOCO funding. In 2015 GOCO changed course: with the Inspire Initiative GOCO is aiming to connect all youth and their families to the natural spaces in their backyards and in time, Colorado’s backcountry through youth programming, place improvements, and environmental internship opportunities for high school students. Walking Mountains Science Center and steering committee partners were awarded $75,000 for Inspire Initiative planning efforts between 2015 and 2017. In July of 2017, Walking Mountains and community partners will submit for full implementation funding with the hope of better connecting Edwards youth, and their families to the outdoors. 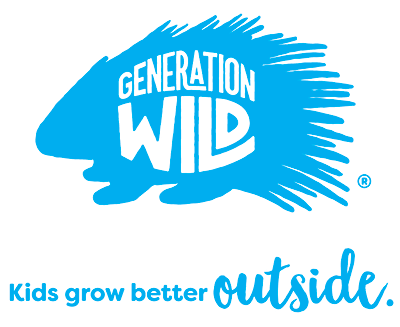 People – Collaborate with community to enhance programs, reduce barriers and support positive change that will enable youth to safely access and enjoy the outdoors. Places – Provide under-served youth and families (in the Edwards area) a variety of safe, accessible and fun outdoor sites that span a broad range of “backyard to backcountry” opportunities across the Eagle Valley. Pathways – Expand pathway opportunities for young adults to apply learned skills and become leaders and advocates for the great outdoors. For more questions about the Eagle Valley Outdoor Movement, please contact Gina Van Hekken at ginag@walkingmountains.org or Maria Burciaga-Alaniz at mariab@walkingmountains.org. Don’t forget to follow us on Facebook for regular program updates and announcements!